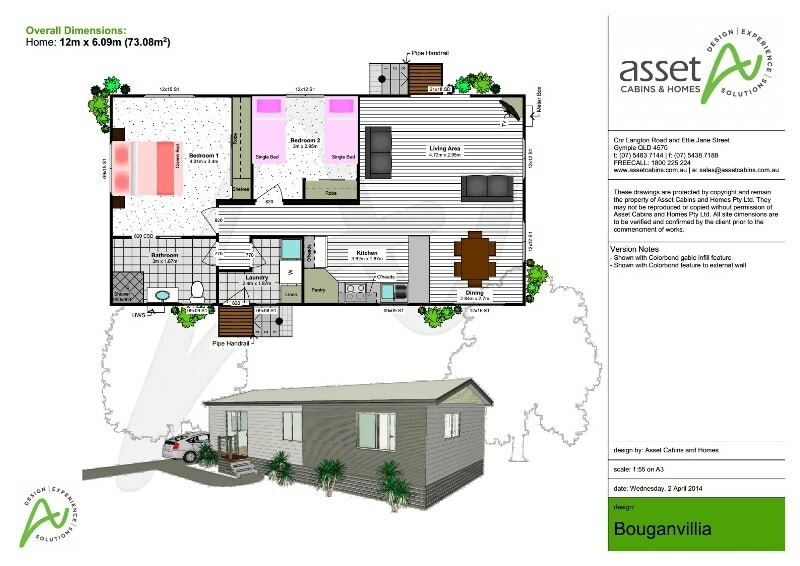 Bouganvillia is a spacious two-bedroom relocatable home that’s ideal for entertaining. There’s a large open-plan living/dining area, and a well-appointed kitchen incorporating a breakfast/serving bar. 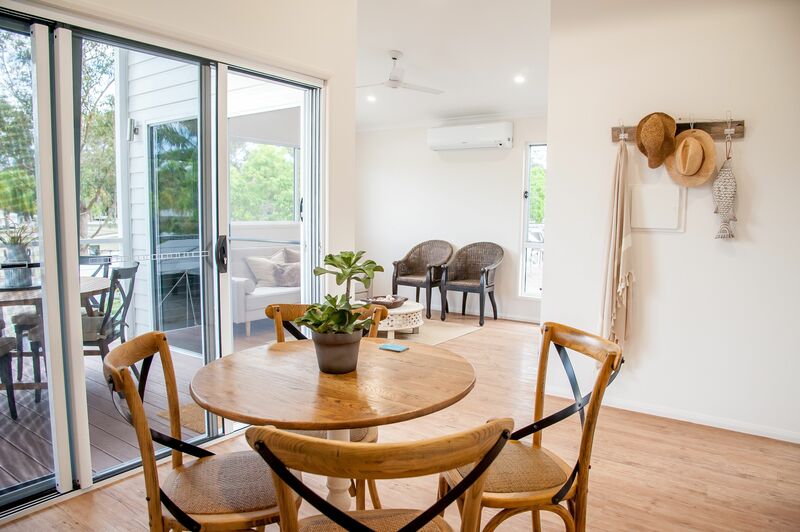 Both bedrooms feature built-in wardrobes and large windows, and the two-way bathroom serves as an ensuite to the master bedroom as well as a main bathroom. The laundry includes a linen closet, and has a side access door.